Fortnite is one of the most profitable free games in history, and it makes its money off of charging players for things like dance moves, often taken from popular online memes. 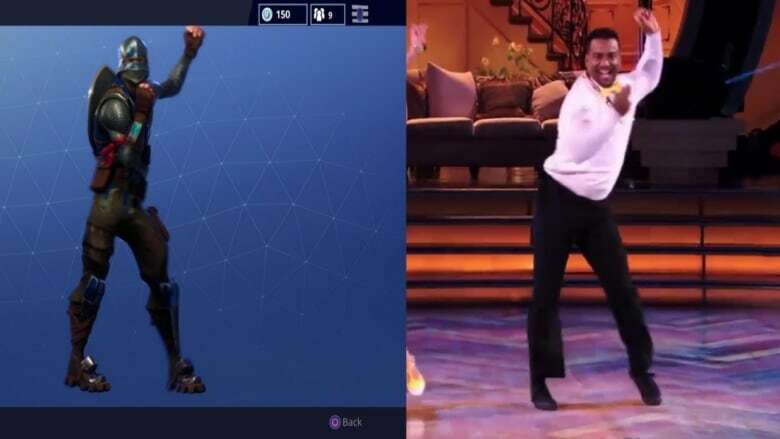 A side by side comparison of the Fortnite emote "Fresh" and "The Carlton Dance"
Fortnite is one of the most popular video games of 2018 with more 200 million users playing the third-person shooter. But the game's enormous success hasn't come without controversy: a number of artists have accused Fortnite of stealing their dances moves and some are now taking legal action. According to papers filed in California district court, rapper 2 Milly, real name Terrence Ferguson, claims that Epic Games "should not be able to profit from Ferguson's fame and hard work by its intentional misappropriation of Ferguson's original content or likeness." The lawsuit also claims that Epic Games appropriated other dance moves from prominent African-American actors and musicians, proof that the company "consistently sought to exploit African-American talent in particular in Fortnite by copying their dances and movements." As of Dec. 17, actor Alfonso Ribeiro is also suing Fortnite for using his signature "Carlton Dance," from the TV show the Fresh Prince of Bel Air. According to the suit, filed in U.S. federal court, the game uses his signature dance without his permission, "exploiting Ribeiro's protected creative expression and likeness and celebrity without his consent or authorization." Update: Ribeiro was denied a copyright claim for the dance move on Feb. 13, 2019, with the court document stating that the move constitutes a simple dance routine rather than a work of choreography, the latter of which can be copyrighted (see copyright section below for more on that). Following news of Ribeiro's lawsuit, Backpack Kid, real name Russell Horning, has joined the growing wave of artists suing Epic Games. Horning is the creator of the Floss dance move, which Fortnite included in its gameplay as of December of 2017. Horning is suing for unspecified damages and wants Fortnite, as well as other companies, including 2K Sports, the maker of NBA 2K, to refrain from using his moves without permission. Released by Epic Games in 2017, Fortnite is free to download and play and has already earned more than $1 billion U.S. — more than any other free console game in history. So how does a free game earn so much money? Through in-game purchases that allow players to buy things like accessories, characters or emotes. It's estimated that almost 70 percent of players make in-game purchases, with players spending an average of $84.67, according to a report. Emotes, which allow players to make their character perform hand gestures or dance, have proven to be one of the most popular aspects of the game, and are used as a way to taunt opponents, celebrate or take part in dance-centred competitions. Fortnite emotes have also pervaded internet culture and YouTube is filled with videos of people doing Fortnite dances or offering instructional videos. "Fortnite Dance Challenge (in Real Life)" is one of the most watched video on YouTube in Canada for 2018. But here's the issue: the hugely popular Fortnite dances are largely based on existing dance moves created by artists and made popular online — and now those creators want to be compensated. It was a smart move for Epic Games to tap into internet meme culture when designing their emotes, taking the most viral moves from choreographers, rappers, comedians, even TV shows like Seinfeld, and adapting them for their game. The effect has been twofold: it makes the dance move more popular than ever, while also tying Fortnite's brand to something viral. In the process, it also strips the art from the artist who created it. If you weren't already following rap or internet culture, it would be easy to assume the dance originated in Fortnite. Rapper 2 Milly originally took umbrage with Epic Games after they introduced an emote this summer called "Swipe It," which is identical to his viral Milly Rock dance, a move he created and popularized in 2014 in the video for his song Milly Rock. Epic charged players $5 for the Swipe It emote. "Everybody was like, 'Yo your dance is in the game,'" 2 Milly told CBS News. "They actually sell the particular move. It's for purchase. That's when I was really like 'Oh nah, this can't go on too long.'" Milly says he has plans to sue Epic and has already lawyered up. Chance the Rapper also weighed in on Twitter, accusing Epic of capitalizing off of Black creatives without compensating them. He suggested that Epic could pay artists, tweeting "Fortnite should put the actual rap songs behind the dances that make so much money as Emotes." Can you copyright a dance move? 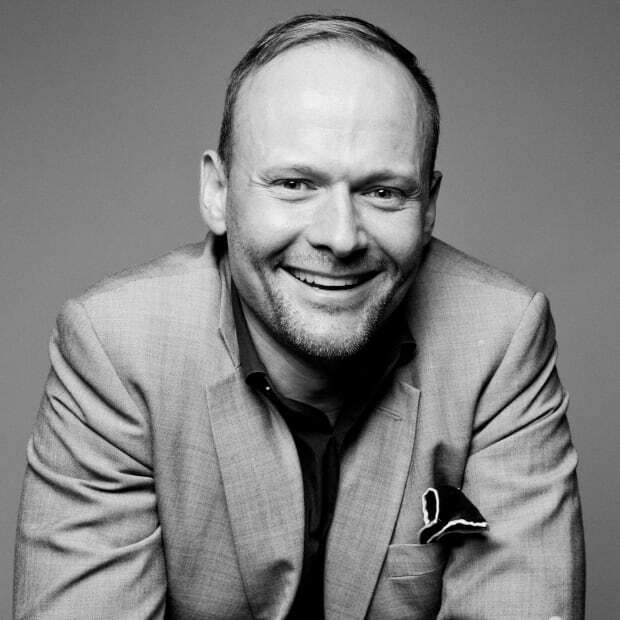 It's difficult to copyright a dance move, according to copyright lawyer Eric Norton, who says that "dance moves themselves are not trademarkable because they are not used to identify where goods or services originate, unlike a logo, slogan, or brand name." Simply performing a dance move isn't enough to allow you to register for a U.S. patent. But Norton also references successful trademarks that have been acquired for certain NFL touchdown celebrations, ones where the name of the dance is tied to the public person, such as Tebowing or Kaepernicking. That said, it's still not the move itself that is trademarked, only the name of it. According to Business Insider UK, it's not possible to protect a single dance step or move, but it is for a larger choreographic work that involves multiple steps, such as, perhaps, the Electro Shuffle, which involved an elaborate routine. What you can't protect is individual dance steps or "social dance steps," which would be akin to trying to copyright individual words or colours. For example, Michael Jackson's Moonwalk, one of the most famous dance moves on the planet, is not even patented. "Dey Takin Money And Credit For My S--t Dats Crazy," BlocBoy tweeted in September. But it doesn't end there. Fortnite looks at all facets of pop culture for its emotes, in essence making it a meta exercise: the more steeped you are in popular culture, the more references you'll get. There are the blatantly mainstream references, such as Carlton's dance from the Fresh Prince of Bel Air, which Fortnite calls "Fresh," or Psy's Gangnam Style, called "Ride the Pony." There are also the more obscure, with no internet rabbit hole too deep or meme too niche. There is a Salt Bae emote, which would make absolutely no sense to a player without knowing the original reference. The same goes for Techno Viking, a meme from 2000 featuring a shirtless man dancing at a street rave in Germany. Techno Viking, whose identity has never been made public, successfully sued the man who posted the original video online for infringement of his personality rights. Fortnite added its Techno Viking emote this summer, but there's no word on whether the originator is aware of the use, or plans to sue. One of the most popular Fortnite dances is called Best Mates, which is a copy of a viral comedy sketch from 2016. Comedian Marlon Webb reflected on the experience on YouTube. "I'm being stolen from right now," he says. "It's dope that this run is part of one of the biggest games created. The f--ked up part is that I wasn't even notified by Fortnite. … This is my job, I do this for a living. … In the end all I want is some respect for something I created." Dancer Gabby David had a similar experience when her dance routine, posted to YouTube in 2017, was turned into the "Electro Shuffle" emote. "They 1000% stole my stuff," she tweeted in January. She also added that Fortnite was "settling" with her, although declined to add any further details about what that settlement contained when contacted for comment. David now offers a "Fortnite Electro Shuffle Tutorial," which has more than 4 million views on YouTube. A lot of games rely on memes and popular culture for inspiration, including World of Warcraft, Overwatch and the NBA 2K franchise, the latter allowing players to dance the Milly Rock. Fortnite, however, through it's unprecedented popularity, has found itself in the spotlight when it comes to artists looking for credit or compensation. By appropriating internet and meme culture, Fortnite has uniquely positioned itself at a crossroads where things that are popular on the internet become popular in real life, whether the creators want it or not. To some, this is just how the internet works: something becomes popular, everybody copies it, and then it becomes part of the culture. Maybe Drake or Ellen make reference to it, or Fortnite turns it into an emote, and then it's mainstream. Whether the creators of the culture can find ways to get paid from their creations still remains to be seen.